I strive to provide all my patients with exceptional care, educating each patient on effectively caring for their condition in their everyday lives. Ryan Sefcik, D.O. always wanted to be a doctor. He can remember as far back—as young as 5-years-old—finding an honest fascination with medicine and the care of others. 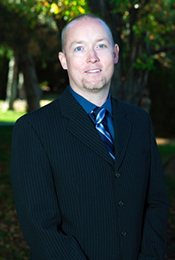 Today, his unwavering interest in medicine has lead him to Reno, where he joined the industry-leading group of physicians at Digestive Health Reno as a board certified gastroenterologist. Before settling into private practice, Dr. Sefcik graduated from medical school in Glendale, Arizona and pursued his internship and residency in internal medicine at the Sierra Vista Regional Health Center in Arizona. Later, he went on to complete his fellowship in gastroenterology at Parkview Medical Center in Pueblo, Colorado. Before tackling medical school, Dr. Sefcik experienced what he dubs one of the highlights of his career, traveling to Western Africa to research and teach the local community about HIV and nutrition. This initial experience fueled his interest in the Doctors without Borders program and using his expertise to bring medical care and education to less fortunate communities around the globe. When Dr. Sefcik is not practicing medicine, his spends his time in the great outdoors and cool brisk mountain tops of Reno, riding his mountain bike, snow skiing, hiking, hunting, and camping. In the warmer months, he makes time for wake surfing and tennis. Though an expert in a variety of GI diseases and conditions, Dr. Sefcik finds biliary pathology and eosinophilic esophagitis of particular interest. He makes it his daily goal to help his patients take control of their own health, arming them with the necessary information to make influential changes to their lifestyle. He says, “I strive to provide all my patients with exceptional care, educating each patient on effectively caring for their condition in their everyday lives.